Provide comfort for the family of Mary Skelly with a meaningful gesture of sympathy. Mary Jean Skelly, age 87, of Janesville died on Monday, April 1, 2019 at Agrace Center for Hospice and Palliative Care in Janesville. Known as Jean by her family and friends, she was born in Janesville on February 17, 1932 the daughter of the late Alfred and Margaret (Aurit) Skelly. Jean graduated from Janesville High School and she was a member of Nativity of Mary Catholic Church for many years. 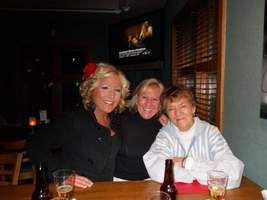 Three things gave Jean her strength; her faith, her family and her friends. She will be remembered for the abundance of time and love she shared so freely. She'll be remembered for finding joy in simple pleasures; feeling the warm sun on her face, digging in the dirt to plant flowers, taking her nieces and nephews fishing, berry picking, pulling the arm on a "nickel" slot machine, preparing a family feast, thrift store shop-til-you-drop outings. 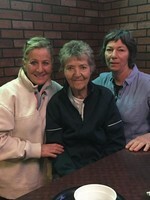 Jean enjoyed a good meal, a good deal, and spending time with her favorite people. Jean's calling in life, was that of caregiver. She was a healer of the physical, emotional, and spiritual needs of others. For several years, Jean devoted herself to caring for her mother, and later for her father and uncle. To her 23 nieces and nephews, and 36 great nieces and nephews Aunt Jean was often the persona of mother, sister and friend. The door to her home, and the door to her loving guidance was always open. Jean's humor, energy and feistiness are well known, and embraced with fondness and a chuckle. Jean's Earth Angels have been her sister Berta and her nieces Carol and Sherri, along with special friends Vickie and Sue. Jean is preceded in death by her beloved mother and father, brothers Paul, Al, and Bob, sisters Ruth and Shirley, sister-in-law Joan, brother in-laws Bill, Jim and Roger, nieces Debbie and Linda, nephews Steve, Joe and Rick. 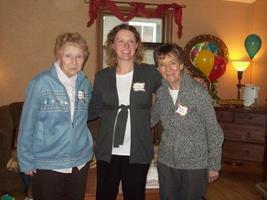 Jean's family is grateful to Agrace Hospice in Janesville for lighting the path through this transition. A Memorial Service will be held at 1:00 PM on Saturday, April 6, 2019 at the Whitcomb – Lynch Funeral Home. Visitation will be on Saturday from 11:30 AM until the time of the service at the funeral home. To send flowers in memory of Mary "Jean" Skelly, please visit our Heartfelt Sympathies Store. Provide comfort for the family of Mary "Jean" Skelly by sending flowers. My condolences to Jean's family she was a wonderful lady. I met her when I managed Green Forest Run Apartments and she was so sweet and wonderful to my daughter and me. She was one of the happiest people I have ever met. She will be missed by all who knew her. Jean was a special and loving cousin. My sister Bern and I spent time with the Skelly girls in our younger years. Always enjoyed staying at the Skelly home. Jean will be truly missed. Jeri Byrne and Bern Townsend.